Members of Troupe Veritigo in the Norhtern California premiere of “Tableaux.” Photo Credit: TheatreStorm. On an empty stage sit three black boxes. Minimalist music begins, and from behind the boxes emerge. . . feet! First one, then another, and soon a total of ten bare feet, gracefullyand humorously communicating, as if puppets on a puppet stage. They bend, they dance, they express emotion and then,magically they disappear. And are replaced gradually by the five women dancer/acrobats to whom they are attached. And we, and the feet, and the women are off an extraordinary adventure as the five dancers explore the possibilities of movement and growth within the confines of this three box stage. At several points, the boxes tip forward to reveal one open side of the cube, large enough to hold all five dancers, making clear the metaphors of constraint in which they move. In a series of dances which incorporate ballet, modern dance, acrobatics, even juggling, the women move successively through to dance to arrive at a series of expressive tableaux that emotionally evoke their struggle to free themselves from restraint, support one another, and ultimately fly. And fly they do! Although the hula hoop shaped circular trapeze equipment is always fully visible, when these dancers take to the sky, acrobatics are forgotten: quite simply, they soar. In a recent TheatreStorm interview, choreographer Aloysia Gavre spoke of visting Spain and viewing Frank Gehry’s museum in Bilbao. The “hard and the soft of it” is not a bad description of what she accomplishes in Tableau. The rigors imposed by the limited stage and the hardness of both the equipment and the rigorous challenges of circus-based dance contrast beautifully with the softness of the vision and soaring aspirations of the dancers. Also contributing to the metaphor and imagery of softness is an almost mystical seeming cloud (presumably created by a dry ice machine) which places them all in a mythical sky and swells and disperses appropriately throughout their adventures. “Tableau” is an extraordarily satisfying entertainment, brilliantly conceived and executed, incorporating the best of circus acrobats and dance techique into a seamless whole. And indeed, it has something to say. It is hard, and soft, and beautiful. Troupe Vertigo has one more peformance of “Tableaux” at The Cowell Theatre at Fort Mason Center for Arts & Culture, today, June 3rd at 6 p.m.
Fort Mason Center for Arts & Culture (FMCAC) hosts these performances as part of the San Francisco International Arts Festival, which runs from May 24, 2018 to June 3, 2018. The Festival features more than 60 performances by close to 40 different artists, ensembles, and companies. Get discounts on tickets to see multiple shows at the Festival by buying a Festival pass. More details HERE. 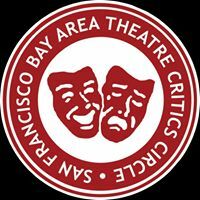 Posted in Reviews.Tagged Aloysia Gavre, San Francisco International Arts Festival, Tableaux, Troupe Vertigo.